Junior utility player Atakan Destici looks to pass the ball in a game against La Salle at the Navy Open over the weekend. Men’s water polo picked up four-straight wins at the Navy Open Saturday and Sunday in Annapolis, Md. to kick off the 2018 season. The Colonials dropped Wagner 15–14 in a rematch of last year’s Mid-Atlantic Water Polo Conference final to open the weekend before cruising past Salem International 22–9 Saturday at Lejune Hall. GW returned to the action Sunday morning and conceded just three goals to La Salle in the team’s 22–3 victory, which saw 11 different Colonials contribute to the score at Scott Natatorium before returning to Lejune Hall, where the team took on Iona College to close out the tournament with an 18–7 victory. Head coach Barry King said the weekend’s games served as a litmus test for what the team needs to work on heading into the rest of the season. Heading into the tournament, the Colonials’ main focus in the pool centered around playing team offense and keeping composure and stability on the defensive end. The Colonials collected 77 total goals on the weekend and had already eclipsed the total number of goals they scored at the tournament last season after just three games. King said he was looking for his team to play with energy and utilize their speed in the water. King said the team’s counterattack was “relentless” from the third quarter of the Wagner game onward, but also highlighted the need for players to decide when to use the fast offense and when to slow down the tempo in the pool. GW was down by two goals heading into the final frame before rallying in the fourth with five unanswered goals to pull out the win. 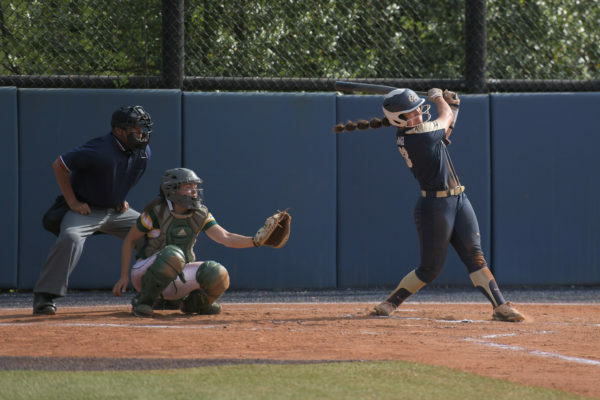 Last season, GW defeated the Seahawks 8–5 to capture the program’s first conference title. “It’s both good and concerning to a point where we seem to rush some parts of it to try to finish out of the counterattack instead of maybe using that to set up an advantage in more of a half-court situation,” he said. 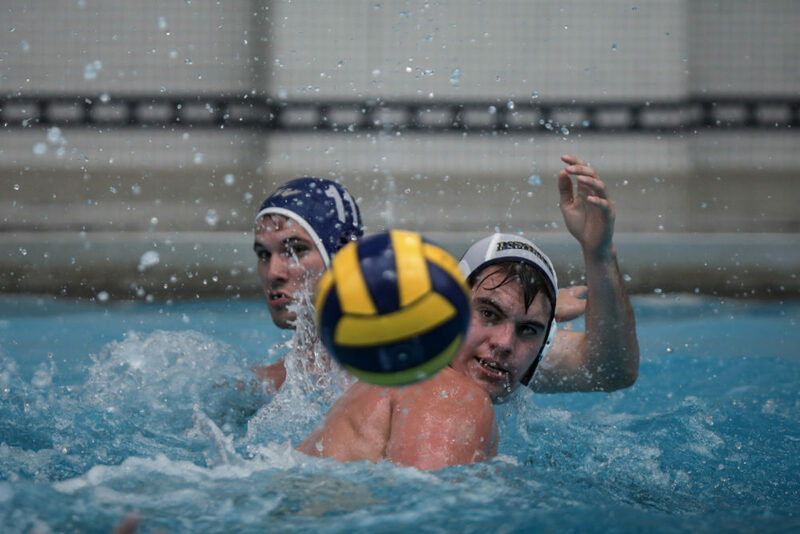 Junior utility player Heath Faulkner passes the ball during mens water polo’s opening weekend at Navy. With the Colonials grabbing comfortable early leads in most of their weekend games, King took the opportunity to test different lineups and combinations of players in the pool. The move helped strengthen the play of the goal-scoring trio of utility players junior Atakan Destici and sophomore Andras Levai and junior center Andrew Mavis. The three combined for 33 of the team’s 77 total goals over the weekend. Mavis said the team has a lot of people to incorporate who can score and have been using the offseason to practice playing as a unit. All seven of the roster’s freshmen saw minutes in the pool at the tournament, including attacker Finn Lillis and utility player Nick Schroeder, who both found themselves in the team’s starting lineup. Attack Josh Yardley also saw extended minutes in the pool and collected nine goals to pace the rookies. On the defensive end, new interpretations added this season for how fouls are being called was “frustrating” for the team to adjust to at the beginning of the weekend, King said. The Colonials made changes on the fly and workshopped their defensive structure to guard space rather than individuals to help adjust to the new officiating rules later on in the weekend, King said. Senior goalkeeper Austin Pyrch minded the net for the Colonials through all four games and made 43 saves on the weekend. Pyrch’s solid presence in the goal helped lessen the consequences of mistakes for the Colonials when they were trying out the new style of play on defense, King said. Utility player Jack Kerwin – one of five seniors on the team – said the older players are ready to build off the foundation of last year’s experience of winning the conference and making an appearance for the first time in program history at the NCAA tournament. “We’re ready to take on the lead and get another conference championship and pass the torch to these guys and establish a true winning culture,” Kerwin said. The Colonials return to action at the Princeton Invitational in Princeton, N.J. Their first game is slated for 12:15 p.m. Friday against California Baptist University.